PM: Centre will stand shoulder to shoulder with all states, irrespective of political affiliation, to facilitate economic growth. PM: Investment worth 100 billion dollars has applied for visa to India. 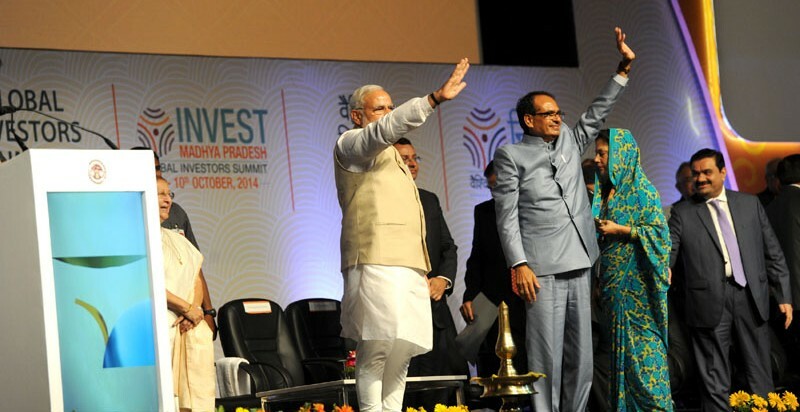 PM appreciates Madhya Pradesh for quick follow-up action to derive benefit from key policy initiatives of the Centre. The Prime Minister, Shri Narendra Modi, today declared that the Centre would stand shoulder to shoulder with all states, irrespective of political affiliation of the state government, to facilitate investment and economic growth. 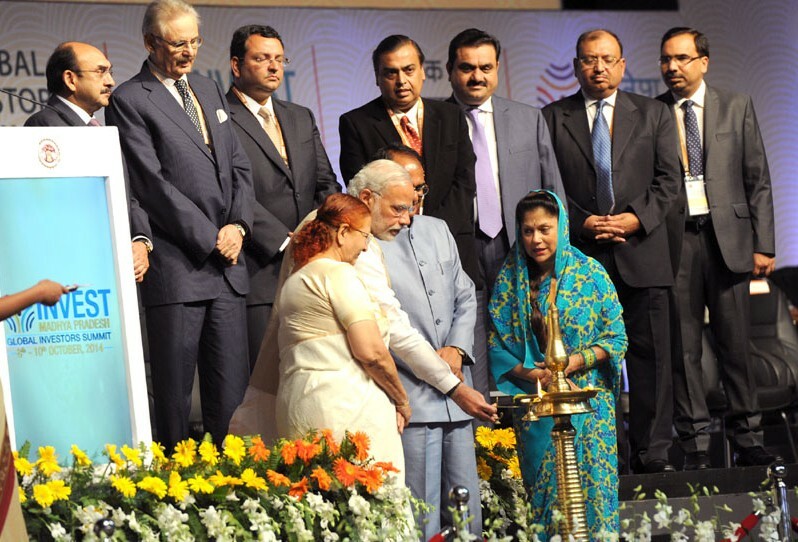 Shri Narendra Modi said he wanted the Centre and each state government to work together in the spirit of “one and one – eleven.” Delivering the inaugural address at the “Invest Madhya Pradesh – Global Investors Summit – 2014” at Indore, the Prime Minister said that following his recent summit level interactions with Japan, China and the US, “investment worth 100 billion dollars had applied for a visa to India.” It is now upto the states to grab a share of this investment, he added. The Prime Minister emphasized that India’s strength is inherent in its states, and if India is to be developed, states must go forward. He said he stands for Team India – a team consisting of the Prime Minister and all Chief Ministers. If this team works together, a lot can be accomplished, he added. 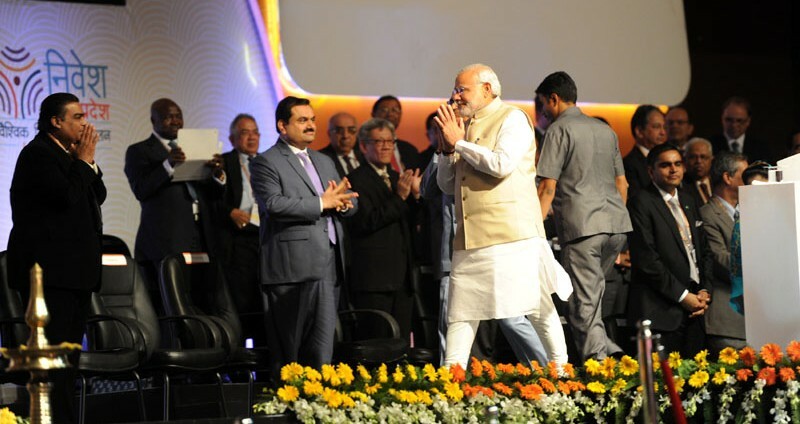 Shri Narendra Modi said the Centre and states are not competitors or enemies; they are complementary. Complimenting the Madhya Pradesh Government and Chief Minister for rapid strides in development, the Prime Minister said that the team of Shri Shivraj Singh Chauhan deserves full credit for it. He said Madhya Pradesh has ample land, good infrastructure, and effective governance; and therefore is an excellent investment destination. He also complimented the state government for quick follow-up action to derive benefit from key policy initiatives of the Centre, such as the “Make in India” vision and defence manufacturing policy. 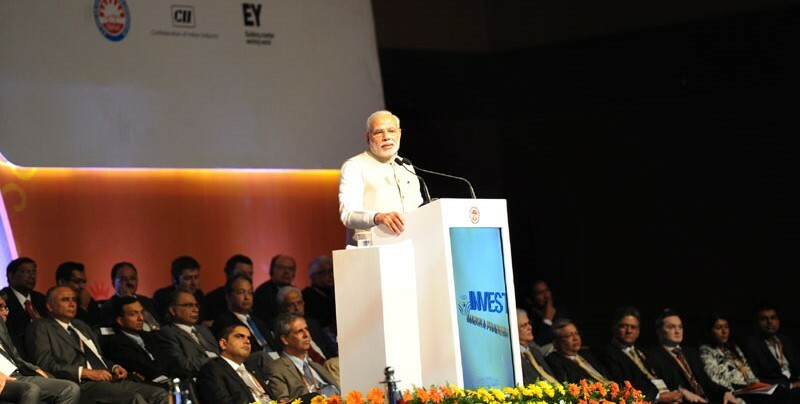 The Prime Minister said India is a country of youth, and therefore employment is the primary aim of all investment initiatives. Ambassadors of 28 countries are present at the summit – which also has nine partner countries.